Graham McNeill\'s Horus Heresy novel returns in Legacy format. Perturabo – master of siegecraft, and the executioner of Olympia. Long has he lived in the shadow of his more favoured primarch brothers, frustrated by the mundane and ignominious duties which regularly fall to his Legion. When Fulgrim offers him the chance to lead an expedition in search of ancient and destructive xenos weaponry, the Iron Warriors and the Emperor’s Children unite and venture deep into the heart of the great star maelstrom that haunts Perturabo’s dreams. 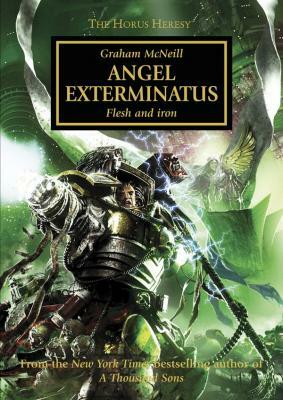 Pursued by vengeful survivors from Isstvan V and the revenants of a dead eldar world, they must work quickly if they are to unleash the devastating power of the Angel Exterminatus!